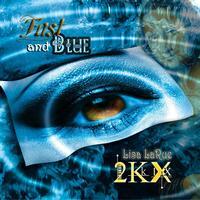 2KX is the permanent band formed from the recent international prog endeavor, Lisa LaRue Project 2K9. Lisa La Rue, an Oklahoma Music Awards' Native American Artist of the Year, is the leader and keyboardist for the band. 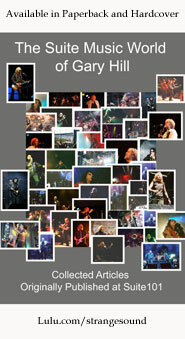 The band also includes John Payne, (former lead singer of Asia), on vocals, Steve Adams, on guitars and bass and Merrill Hale on drums from the Portland, Oregon band ARZ. Cellist Mike Alvarez adds depth and mood to the music. There are several noted guest artists on this album including; Mitch Perry (Edgar Winter Group, MSG, Cher and more), Don Schiff (Rocket Scientists, and many more), Michael Sadler (Saga), Ryo Okumoto (Spock's Beard and GPS) and Maxi Nil (Visions of Atlantis). The album kicks off with a major epic after the soft opening intro of “Mystery of the Rose,” and never lets go of your psyche or ears as prog epic after epic unfolds in this seven song story. Fast and Blue is an explosive and dynamic album that will thrill and bring back many memories from the legends of the past, while still remaining original. “Mystery of the Rose” opens with cello, soft strings and drums, percussion, bass and brilliant lead electric guitar. It’s a very beautiful, but quick opening. Fantastic soft almost mandolin sounding guitar opens “Prometheus”, before the real action begins. The ominous sounding drums, keys and bells eventually give way to guitar, that, for a while, will take you right back to the spirit of Jeff Wayne and Justin Hayward’s “Forever Autumn.” This is an excellent way to open this track full of dynamic range and depth. The deeper guitar and bass signals a change in pace and feeling in the melody and sound. There is a medieval/King Crimson feel to the next section of the song, before another switch to Hackett – like soaring guitars with power drums supporting the climb. Then the song slows down and beautiful guitar and soaring keys mixed with what sounds like backing vocals. The keys glide through the haze and offer their abundant waves of sound. Then a little Kansas Leftoverture keys and buzzing guitars, join before they finish off this section with bells and a gong. At 8:20 into the song, another great shift hits as the pace picks up with a Tony Banks on keys sound, with bass support, cool blasting drums, and great lead electric guitar riding through the storm of sound. The last section adds some ELP – like keys to remind you they know all the legends of prog. They touch on the many moods and highlights of prog within one power epic. A better name for the track might have been, “Journey Through the History of Prog in Under 20 Minutes”. “Tryptych” opens slowly with what sounds like an orchestra before the crowd cheers and cellist Mike Alvarez fills the soundscape with the magic of the cello. Supporting him along the way is wonderful acoustic guitar which brings back memories of some of Steve Hackett’s solo and Genesis era songs. The guitar mixed with cello makes it feel as if you are at a Steve Hackett acoustic/classical show. The ‘live’ sound quality is pitch perfect as if the artists are performing before you. The guitar and cello continue as piano is added to the mix to coax even deeper emotions. “Jam Jehan Nima” opens with powerful keys, drums, bass, and guitar. The electric lead guitar is back, weaving mysterious chords and Asian – like sounds. The drums and background cello modes give the entire arrangement enough volume and presence to fill a concert hall. The keys provide dramatic Asian impressions. Then an almost Ayreon mixed with Kitaro blend of keys and guitars that propel the sound even higher. We get chanting, bell chimes, and thunder drums summoning the force of spirits. As the song builds they add some Zeppelin – like guitar chords and power drums as the dynamics of the song change and grow. “Lamont of the Cherokee/Ruins of Home” opens with soft keys and beautiful cello. Then John Payne enters to deliver some spoken word poetry from John Howard Payne of the 1830s. The guitar and drum work are wonderful and inspiring on this mostly instrumental track. The keys are crystal clear. The title track opens with power guitar and keys before John Payne’s vocals join. Maxi Nil’s backing vocals add a softness and emotion to the sound. This has a 1980s/Asia feel to it. The cello in the background adds another cool dimension. There’s great guitar licks and fantastic power drums. “Recurring Dream” is the closer and best track on the album for me. Those awesome keys and soft guitar that open the song just steal the show. Then Michael Sadler’s vocals enter to give it that Saga flare, just after the amazing gong closes out the instrumental opening. Payne and Sadler duet as the number builds, bringing together two powerful voices of prog’s past. The keys are extraordinary and those Hackett – like electric guitar climbs are breathtaking.